Moose Toys is in the business of making children happy, all around the world. Its output spans collectables, crafts, dolls, games and electronics sold in over 100 countries – from Los Angeles, to London, Paris and Vietnam. 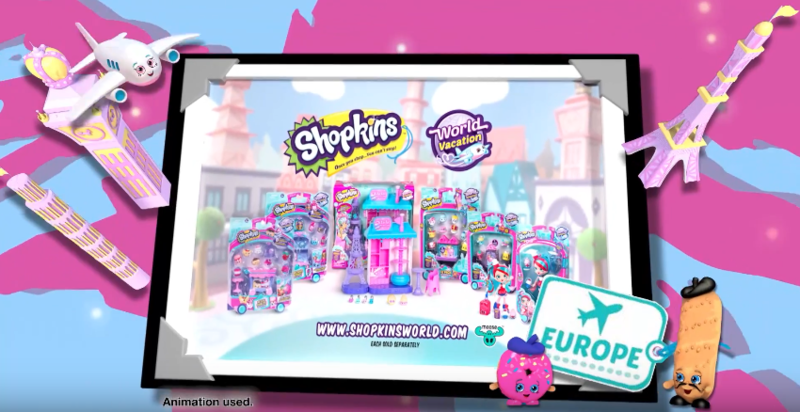 Its Shopkins brand of pintsized collectables alone is a verifiable global phenomenon, and stands as just one of Moose Toy’s numerous successful brands. Moose Toys global thinking is reflected in its approach to marketing. Producer Kirsten Michael is responsible for a fair chunk of it, delivering 60 commercials per year across four different countries! She also works with the wider content creation team in the production of Moose Toys webisodes, films and spin-offs, with production occurring across all corners of the globe. “Working on these projects is absolutely amazing – the variety is crazy,” begins Michael. “However, over the years, I’ve begun to understand how tricky things can be with regards to animation when you’re working with someone remotely. But thankfully, I have Frankie. Moose Toys has a huge range of toys in production – and as such, a huge amount of content to produce. Four years ago, the company ran 20 commercials a year: a fair amount for any company. Today, Moose Toys has scaled up to the astonishing amount of 60 or more – a fact all the more impressive when you consider that the in-house team is extremely small, consisting of just Michael and an in-house editor. Crystal clear communication with creative partners is therefore vital. That’s where Frankie comes in, acting as a creative portal through which Michael and the various animators working with her can share ideas, collaborate, and create. Frankie’s support has come in most useful on Shopkins, the explosive popularity of which meant increased production of branded media. 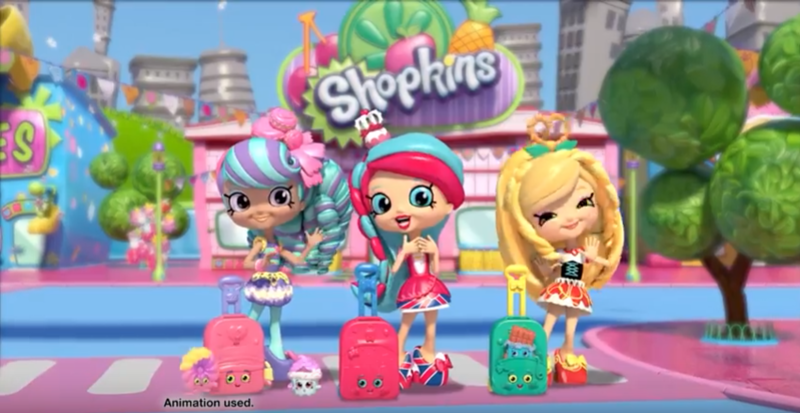 Shopkins has several animated productions on the market: there are TV commercials, content on Netflix, direct-to-DVDs, webisodes and more. “We work with numerous vendors to deliver on all our content requirements and meet the meteoric growth of the brand,” says Michael. 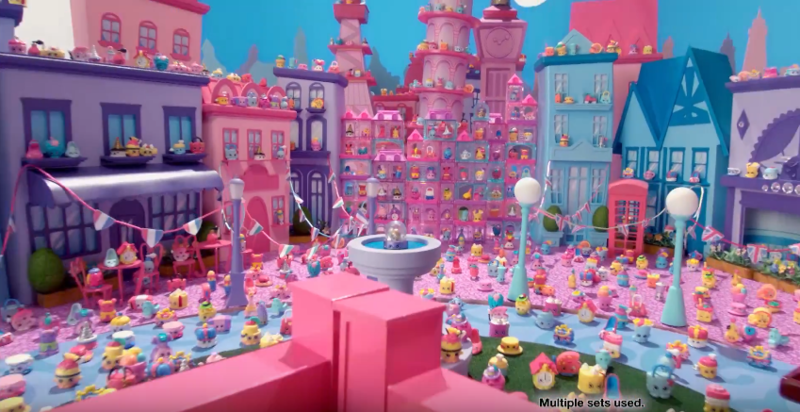 “We have several different production companies delivering animation for Shopkins alone, which means we’re constantly referencing with each production company, keeping each aware of what the others are doing. Moose Toys is a creative company, so it’s natural that the team is drawn to the more creative and freeform aspects of Frankie toolset. When working to a strict product release date, the Moose Toys production team will usually have little to no time for previsualization, meaning a lot of tweaks have to happen in post. To illustrate the necessary changes, Frankie’s annotation tools have become vital to Michael and crew. “Drawing is brilliant for me,” explains Kirsten. “We’re trying to bring a toy to life and make it engaging for a child. We’re trying to give it personality. It’s all very well getting the models and the animation right, but the real trick is in the more nuanced, often subjective elements such as facial expressions. It’s tiny things like getting the eye line and proportions of the face right. Once the edit for commercials is complete, back-and-forth feedback for Moose Toys will move into the network approval stage. In Melbourne, where Moose Toys is based, there is a governing body for general network approval, but in the US every commercial is evaluated by individual TV stations. Thankfully, Frankie has revolutionised the network approval process for Moose Toys, allowing all feedback to be discussed in a single session. Kirsten can then supply production companies with Frankie’s automatically generated PDF, summarizing adjustments right down to the exact frame discussed. Prior to adopting Frankie, it could sometimes take four-six months for Michael and team to take a job from edit to mastering, simply due to inefficiency of driving feedback through endless email chains. “We were facing challenges of different countries, time zones and even languages,” says Michael. Gone are the days when Moose Toys would need a local team huddled around a single edit suite. Today they can work with any production team, anywhere, accessing a truly global talent pool – and all with unambiguous feedback cycles that truly keep things moving.